We have started a new fundraising campaign to help 2 families with little kids, who desperately need a house. These families have suffered tremendously from the physical and emotional abuse while institutionalized in an orphanage. Love is Kind is trying to offer them a second chance to a better life! We strongly believe that every child in need deserves to be happy, whether they are sick and need treatment or coming from an at-risk or abusive family. That is why our mission is to find these children and offer them a chance to happiness and a better future. Our goal is to offer them and their families long-lasting solutions that will improve their lives for the better. Please consider buying a shirt on Booster (or donating at GoFundME), to support these 2 causes!!! In order for them to be able to live with their grandma, the local officials offered them temporary housing. Every morning, Kate and Victor take the bus for a few miles and then walk another half a mile on foot in order to get to school. Life is not easy for them and their grandmother as they are still struggling with poverty on a daily basis but they are happy that at least now they are all together. 2. Single mother, Diana, raising 2 children under age of 2- a 2 year old girl named Anne and a baby boy named Dan. CCF has found Diana on a cold, rainy day wondering on the roads, with her baby girl in her arms looking desperately for a good soul to open their doors and offer them temporary shelter…even if that was just for a single night. With her daughter suffering from bronchitis the social workers took her immediately to a hospital and they were later offered temporary housing. That’s where baby Dan was born. Diana had an unfortunate life from the day she was born. Her parents abandoned her at birth and she had suffered physical and emotional abuse throughout the entire time she was institutionalized in the orphanage. Adapting to real life was difficult for her, with lots of struggles and unknowns, but the appearance of her children in her life had a huge impact on her. It made her stronger and she knew that she wants more for them then she had for herself. 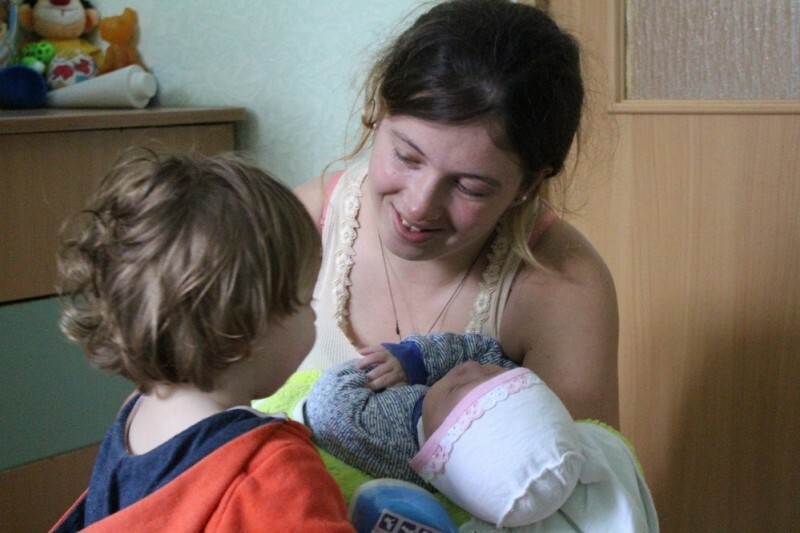 Both families are currently looking for a permanent home that they could make it their own in one of the small cities in the Northern part of Moldova. The families need our help to raise $4,500 ($2,500 for the first case and $2,000 for the second)! This will not only insure a house and stability for these families but will also give them a chance to stay together and not have the children be separated and sent to orphanages or foster homes. For a single person or a family, $2,000- 2,500 is not small change, even here in US. With that money you can manage to pay one month rent or put food on the table for your family. You can’t, however, buy a house with that amount in US! 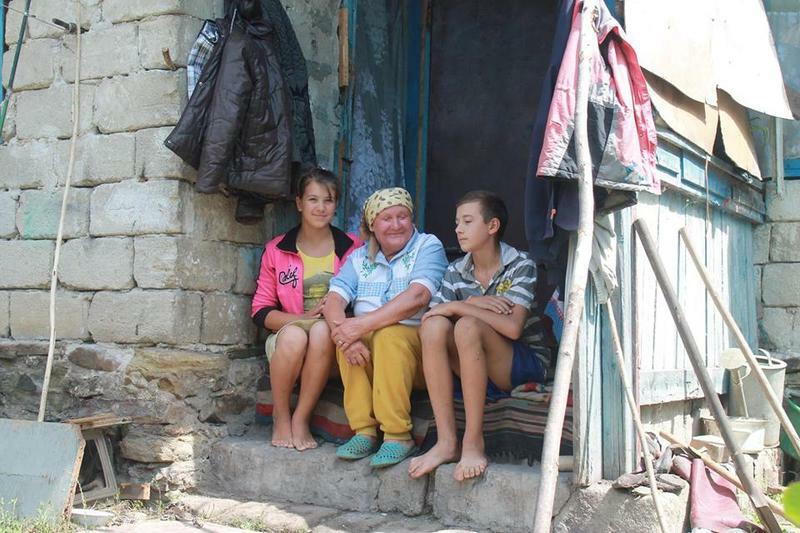 Help these families stay together and offer them the gift of a lifetime. There is no place like home! Please consider making a small donation and spread the word and the kindness!